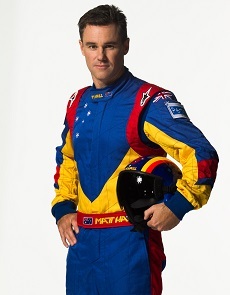 Matt Hall Returns to the Red Bull Air Race in 2014! The Red Bull Air Race World Championship will be back in the skies in February 2014 with a full seven-race World Championship staged in 6 countries on 3 continents…..And Aussie Top Gun Matt Hall will be there! The return of the world’s fastest motorsport series was announced at a news conference at the Putrajaya Maritime Centre in Malaysia today. PUTRAJAYA (Malaysia), October 8th 2013: “We’re delighted to announce that the new Red Bull Air Race World Championship will be launched on February 28th in Abu Dhabi (UAE),” said Erich Wolf, CEO Red Bull Air Race GmbH. The series will be back with Australian Matt Hall and the defending world champion Paul Bonhomme in the 12-pilot field after it took a three-year break to improve safety and reorganize. Hall, who was third in the world championship standings in his rookie season in 2009, a record for a pilot on debut, said he was excited to again have the opportunity to test himself against the best in the world. “We have been hoping this day would arrive for a few years and we knew the Red Bull Air Race organisers were working hard behind the scenes to make it happen,” Hall said. “The Red Bull Air Race World Championship is the ultimate in air racing and I am delighted to again have the chance to take on the best pilots in the world. There will be a number of technical improvements, including standard engines and propellers for all pilots, changes to the lightweight nylon pylon material to make them even easier to burst apart if they are clipped by plane wings and raising the height of the pylons that the pilots pass through from 20 to 25 metres. The modus and rules have also been tightened, for example to prevent any pilots from exceeding the set limits. In the sport created in 2003 and watched by millions of fans at 50 races until being suspended in 2011, the competitors race in high-performance airplanes between 15 and 25 metres above the ground and navigate a challenging obstacle course of Air Gat pylons at speeds of up to 370 kph.